As March is about to bring us some sunshine here in the Smoky Mountains, we’re feeling a distinct spring in our step, and have been cooing and swooning over sneak peaks of 2018’s spring weddings so far. There’s something so special about spring weddings, don’t you think? 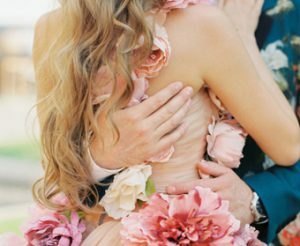 The promise of new beginnings, the incredible array of blooms, and the rare just-right temperature for a 100 layer sleeveless wedding dress! Planning a Valentine’s Day wedding? First, some history on the lovers’ holiday. Though exchanging hand-written love notes and cards dates back to the 1400s, Valentine’s Day has been around since 496 A.D. Fast-forward hundreds of years, and you’ll find that this year is the most romantic day of the year the perfect time to say “I do.” Not sure how to pull off a Valentine’s Day wedding with style? 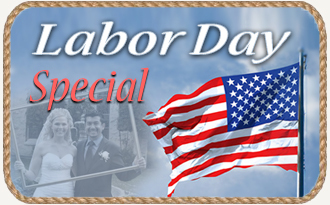 We’ve got the perfect package for you! MORE ABOUT THE SMOKY MOUNTAIN WEDDING! Are you dreaming of having a Smoky Mountain wedding? We’ll help you find the best wedding venues in the Smoky Mountains for your special day! 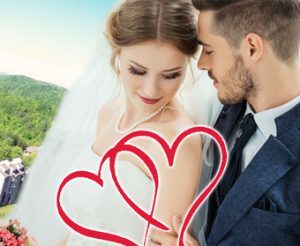 From Sevierville western weddings to the majestic Great Smoky Mountains waterfalls and breathtaking sky high mountain scenarios, this Area has the perfect wedding spot for everyone. You’ll be hard pressed to find better Mountain Wedding and the gorgeous outdoor are a stunning backdrop for any wedding. In the summer months, enjoy the great outdoors with hiking, biking, fishing, or horseback riding, before relaxing in your cabin Jacuzzi. Even in Sevierville, the mountains dominate the landscape and are just a short drive away. 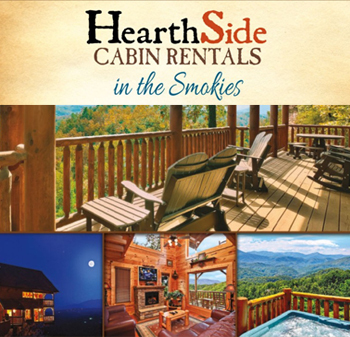 For an unforgettable Smoky Mountain Wedding, consider staying at a mountain lodge or a rustic cabin. There are wedding venues to suit any taste. Our Smoky Mountain wedding packages will help you find everything you need for the perfect wedding in the Smoky Mountains! 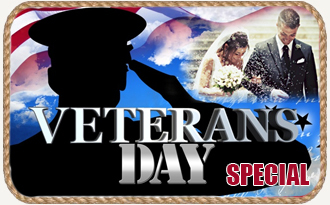 We are a full service wedding service located in Sevierville, Tennessee. 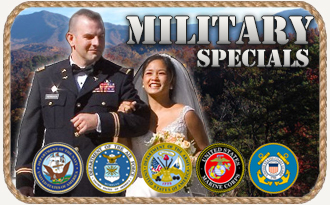 We perform weddings anywhere in Sevier County, Tennessee and inside of The Great Smoky Mountains National Park. Our "Just the Two of Us" package starts at only $100 and you can add any service needed, from photography to flowers to complete receptions.